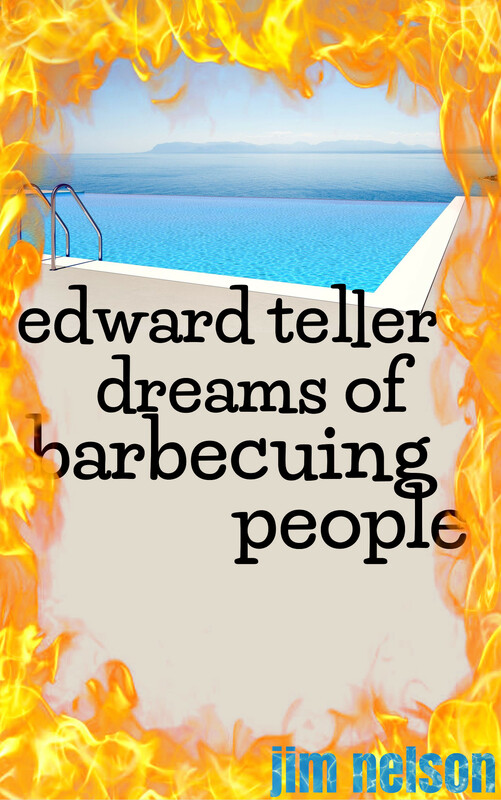 After a lot of scratching around in the dirt and a couple of heart-to-hearts with myself, I made the decision to ditch the old cover for Edward Teller Dreams of Barbecuing People. That cover attempted to capture the aesthetic of a classic Pee-Chee All-Season Portfolio that’s been doodled up with pencil and ink over the span of a school year. As much as I liked the concept, my artistic skills were simply not up to snuff for the challenge. I was never really satisfied with the final product. Speaking of Pee-Chee, check out this great Flickr collection of folders marked-up and mutilated decades ago by school kids who were not altogether dissimilar to Gene Harland, the narrator of Edward Teller Dreams. My favorite in the collection? This one referencing Berkeley’s own The Uptones and featuring a ska sprinter taking the lead on the outside. In the 80s, you lived and died by a white pressed shirt and a skinny tie. Published 5 May 2015 by Jim Nelson. Last edited 26 June 2015 .